Yesterday morning I sat through an hour (including a long adjournment) of an Employment Tribunal brought by a Mrs Margaret Cole against Merseytravel. Mrs Cole alleges that she suffered a detriment, discrimination and/or dismissal on grounds of disability or failure of employer to make reasonable adjustments. Despite recent guidance to court staff stating that both names of solicitors and that press should have access to the hearing bundle and witness statements I was not given access to the hearing bundle, witness statements or told the names of the solicitors despite an explicit verbal request on my part to court staff. I was told that no bundle was available. This was day three of an expected five days. The hearing started with the Claimant’s representative referring to a 2 page document that had been served by email on the Employment Tribunal by her instructing solicitor. Employment Judge Shotter asked what it was and was told in reference to page 132 of the bundle that it listed all occupational footwear. Employment Judge Shotter asked if Merseytravel’s representative had seen it, to which he answered he had. Employment Judge Shotter then asked if paper copies were available. The Claimant’s representative apologised and said that she didn’t have printing facilities but she believed it to be around two pages long. After more discussion Employment Judge Shotter decided to adjourn the hearing. When the hearing resumed around ten minutes later, Employment Judge Shotter said that my taking notes (I was at the back of the room one seat away from the corner) on an iPad was “distracting” and that I should sit somewhere else behind somebody so that she couldn’t see me. I use the iPad due to a writing disability as it’s painful to write (but not to type on a touch screen), which is somewhat ironic as the case was about reasonable adjustments and disability discrimination! Employment Judge Shotter said that the new documents would be referred to as C1 and C2. There was then a somewhat technical exchange about EN ISO 20347, documents C1 and C2 in relation to occupational footwear as cross-examination of a Mersytravel employee resumed. The Claimant’s representative said that the Claimant had been removed from her duties on the 11th November as she had attended work in her own shoes. The witness answered, “Yes”. Asked if this was because Mersytravel could not supply any appropriate shoes that she could wear to carry on with her job, the witness replied that Merseytravel had no shoes that would fit. Clarifying that the answer was yes, that Merseytravel could not provide appropriate shoes, the witness answered, “yes”. Referring to page 418 in the bundle and the reconvened grievance hearing, it was put to the witness that while bespoke shoes were under construction that the employee had been temporarily redeployed because of her disability? To which the witness answered, “Yes”. Asked why the Claimant had been removed from her post, the witness answered it was because that Merseytravel didn’t have a pair of shoes suitable to work on the plaza so for safety reasons she had been removed from post. In response to a further question the witness said that this had been to protect physical health. After a number of other questions and answers about the possible work the Claimant could have been redeployed to do, it was agreed by the witness that due to the Claimant’s shift patterns, there had been difficulty in ensuring that she worked the same shift elsewhere in Merseytravel. There was an exchange of questions about how the Claimant due to the redeployment wasn’t working her correct hours. It was explained by the witness that the times of operation of Woodside, Seacombe and Liverpool Pier Head were different. It was put to the witness that in order for the Claimant to work the correct number of hours, she had had to work at up to three different places in a day, the witness disputed this and said that it would be only two and that staff would be paid for travel in between work places. In response to a further question about confusion as to how she could maintain her working hours, the witness said it had been left up to the employee how to work out her hours in liaison with the places she was working at, therefore she had the option to work as many hours as she wanted. There were exchanges about rest days and shift patterns, then the witness was asked about how she had been segregated to work away from her team, to which the witness replied that it was in the same area at the same facility albeit on a different floor. In response to a further question the witness replied that she had been told where to go and who to report to and it had been up to them to give her duties. The Claimant’s representative pointed out that some of the sites were not open at the weekend such as the offices in Mann Island and others had not been open as late as the tolls, so she was not able to follow her shift pattern which had caused understandable uncertainty, stress and anxiety. The witness responded to this point and a further question by stating that he didn’t understand how this could cause stress and anxiety. Referring to page 274a, it was put to the witness that the employee had booked the 2nd December off but had been told it hadn’t been granted. The witness agreed it had never been granted and was asked a question about uncertainty about annual leave to which he answered, “No”. 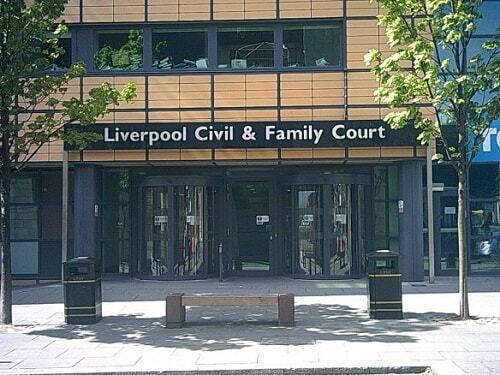 Continues at Employment Tribunal hears cross-examination of Merseytravel employee in disability discrimination case (part 2). What a farce. Five days over an issue that started over whether an employee had suitable shoes. What was the job this woman did that needed special shoes? Unfortunately with no access to the bundle and reporting on it three days in, I’m as in the dark on that as you are!